Home » National » Life and Style » Elections and Democracy » Why should Chilima’s UTM Party hooligans be arrested? Why should Chilima’s UTM Party hooligans be arrested? 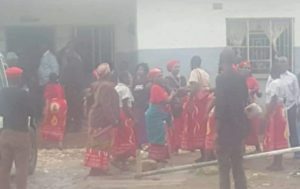 LILONGWE-(MaraviPost)-On February 6 ,2019, overzealous of Malawi Vice President Chilima’s security detail pounced on Malawi Electoral Commission (MEC) stringer George Banda where they roughed him up several times. As that was not enough, Chilima boys (who is also UTM Party leader) snatched the mobile phone and some undisclosed amount of cash from the journalists. What Chilima boys did was in direct conflict with human rights documents promulgated by United Nations , the right to freedom of speech and the right to freedom of press. The two rights are also protected by many international instruments. Freedom of press is the fundamental freedom protected in all modern state. Human rights activist and social commentator Chikumbutso Mtumodzi says MEC should facilitate the arrest of the people who assaulted the Commission’s News Stringer George Banda. In a letter dated 10 February, 2019, Mtumodzi is pleading with MEC chair Dr Jane Ansah to facilitate the arrest of all UTM individuals involved in the attack following the statement from UTM leader Dr. Saulos Chilima in which he has admitted that his boys indeed assaulted the journalist. “The state Vice President and leader of UTM on February 9, 2019, admitted that members of his party (youth wing) indeed used force to beat up a journalist, Mr. George Banda, who is a stringer for the Malawi Electoral Commission in Blantyre. In addition, the State Vice President in his letter of apology did mention that his Party Youth even took the mobile phone and some money from the journalist whom the Vice President promised to compensate,” reads part of the petition. Mtumodzi, who is also executive chairman of Hitgalut Media Consultancy has threaten that his firm is ready to commerce private prosecution. “In the event that our demands are not met, we shall seek legal advice to commence a private prosecution. 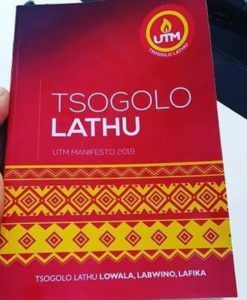 Through you, Madam Chairperson, we call upon the law enforcement agency to interrogate the UTM operatives through the Vice President who made mention of a mistaken identity,” he said. Just recently Minister of Information Communications technology Henry Mussa also called for the security agencies to investigate and lock those who beat up Malawi Electoral Commission stringer George Banda. Mussa said government is pleased with the public admission by the leader of UTM, Dr. Saulos Chilima, that journalist George Banda was harmed on 6th February 2019 at COMESA International Conference Centre in Blantyre by UTM security personnel in a mistaken identity act. He says government dismisses the apology and condemns the suggestion by Dr. Chilima that the violence against Mr. Banda is regrettable because he was not the target. Meanwhile, the Media Institute of Southern Africa (MISA) Malawi Chapter has accepted Chilima’s apology. Now by admitting that Chilima boys beat up journalist, then UTM should bring all its boys to face the arm of law. He has apologized which to me is the right thing. Let us allow the Police investigate this and the other hooliganism committed by DPP boys. On his Part Chilima has shown us is good side by being a gentleman by immediately offering the apology.